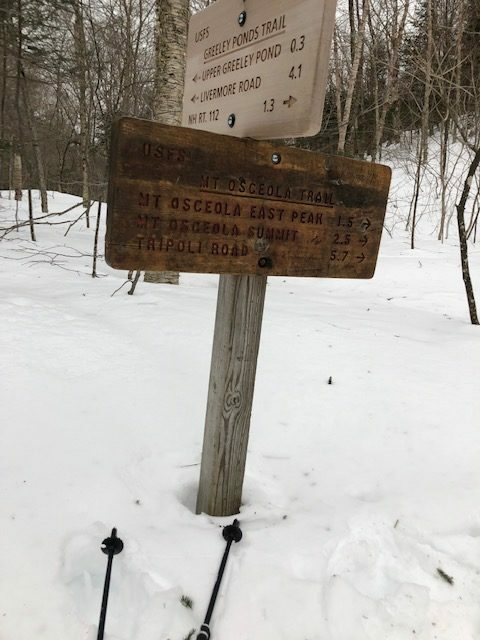 Made it to East Osceola Mountain on January 28, 2019. New England 4,000 footer list: 2/69. I didn’t take any photos at the top because it was so cold and windy; I couldn’t wait to get back to the car. Even with spikes, I superman’d it at one point on the steeps going down, which was pretty nerve wracking. Once I got to the flatter section I put on my snowshoes and enjoyed a walk in the woods as the snow started to fall. I will make it to the main peak, Osceola another day. Superman, oh, flying, I get it.